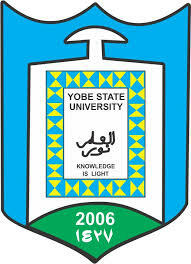 Yobe State University 2017/18 Post UTME/DE Admission Form is Out for candidates that choose Yobe State University as their first choice in JAMB and scored a minimum of 140. From the office of the Registrar, Yobe State University, Damaturu, this is to inform all candidates who apply for admission through UTME that there will be screening exercise for those who chose Yobe State University as their FIRST CHOICE with an aggregate score of 140 and above. Sales of Scratch cards and On-line registration commences from 29th August 2017. NOTE: Furthermore, note that only candidates that pay and register for the prescribed Post-UTME examination will be considered for admission. Sales of YSU Post-UTME and Direct Entry screening forms for the 2017/2018 admission exercise will close on 7th September, 2017. Date and venue for the examination will be indicated on candidates’ Post-UTME registration slip. Date for Direct Entry and 2nd choice UTME candidates will be communicated in due course. Please be informed that Yobe State University has been renamed to Bukar Abba Ibrahim University, Damaturu.